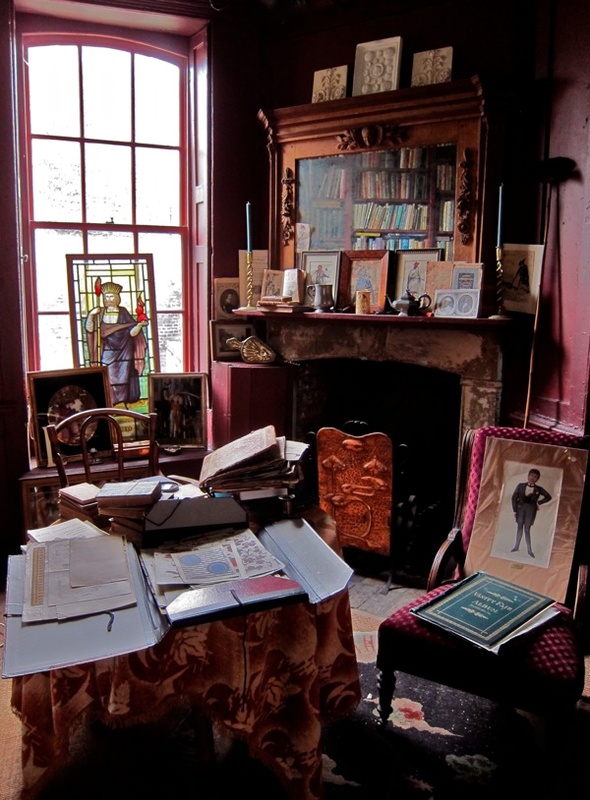 You may recall my account of meeting Rodney Archer the Aesthete in Fournier St who has Oscar Wilde’s fireplace installed in his first floor drawing room. 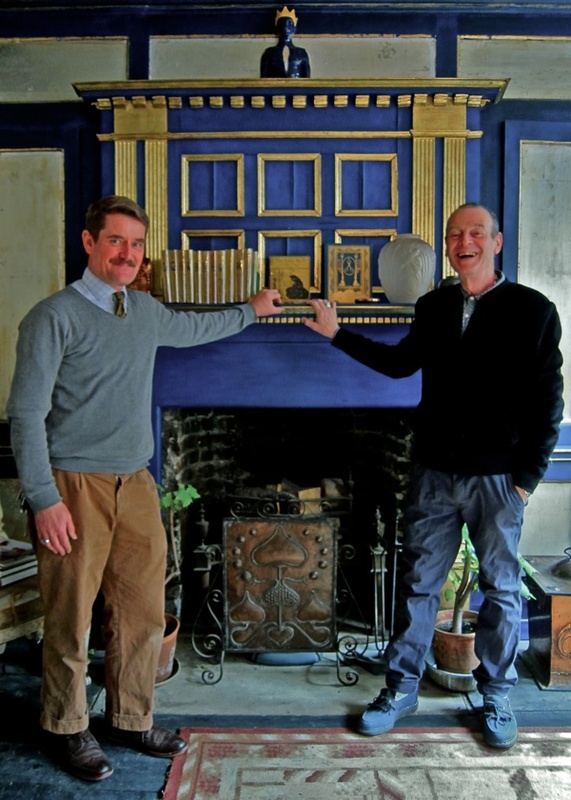 Now you can visit and see it with your own eyes, because Rodney has entered into a collaboration with Trevor Newton, the Topographical Artist & Dealer in Decorative Arts, to open part of his beautiful old house as a gallery. “We met quibbling over the price of first editions in the Spitalfields Market,” admitted Rodney, by way of introducing Trevor. 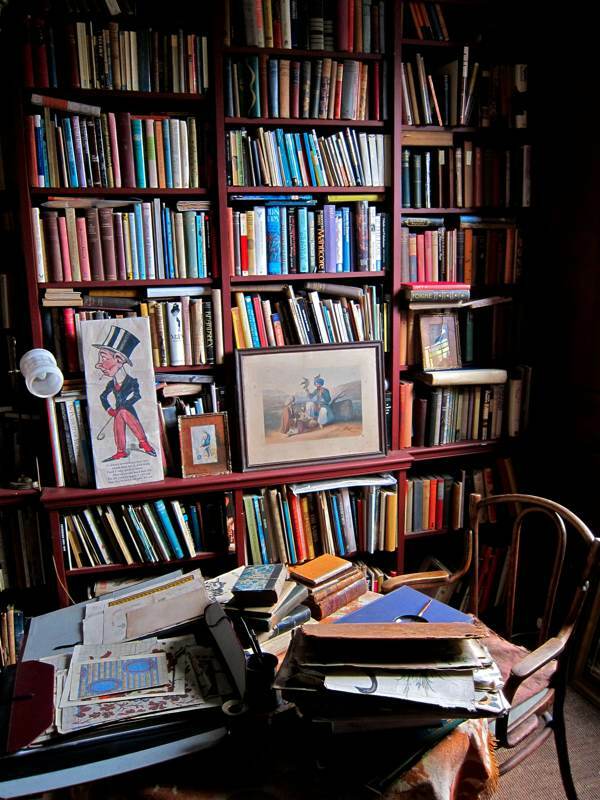 “And Rodney said to me, ‘I want to declutter,’” added Trevor, modestly justifying his presence. “It’s as if I had a pack of cards and I’ve thrown up them up into the air,” declared Rodney, spreading his hands dramatically “And I’ve reshuffled them,” continued Trevor helpfully. “I’ve let go!” shrieked Rodney in gleeful conclusion, turning and disappearing into the darkness of the hallway towards the front door as Trevor led me up to the first floor. “We’ve left a little dust and cobwebs,” he whispered to me, pointing out a fine cluster of grimy specimens on the stairwell lest I should judge him as too radical. But, even on the stairs, the change was evident as Trevor – with his professional eye – had rehung Rodney’s pictures expertly. 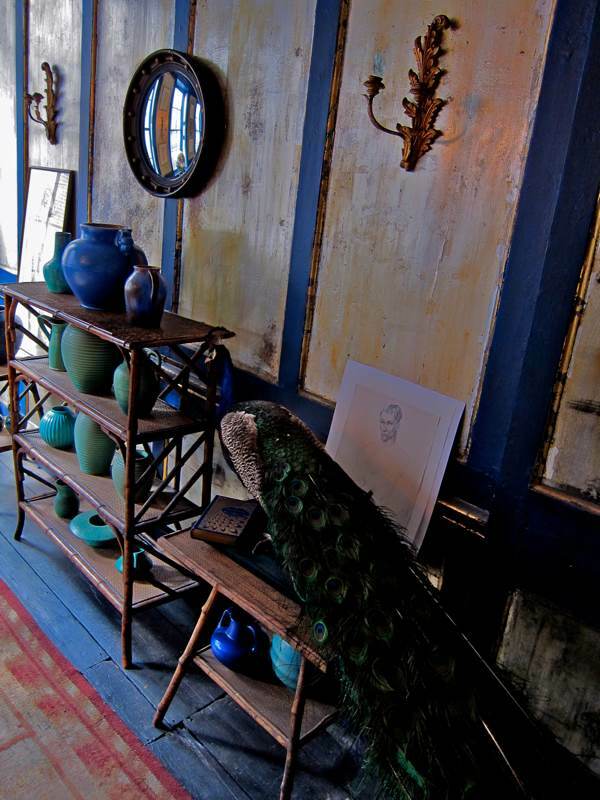 In the blue drawing room, the transformation was more pronounced. 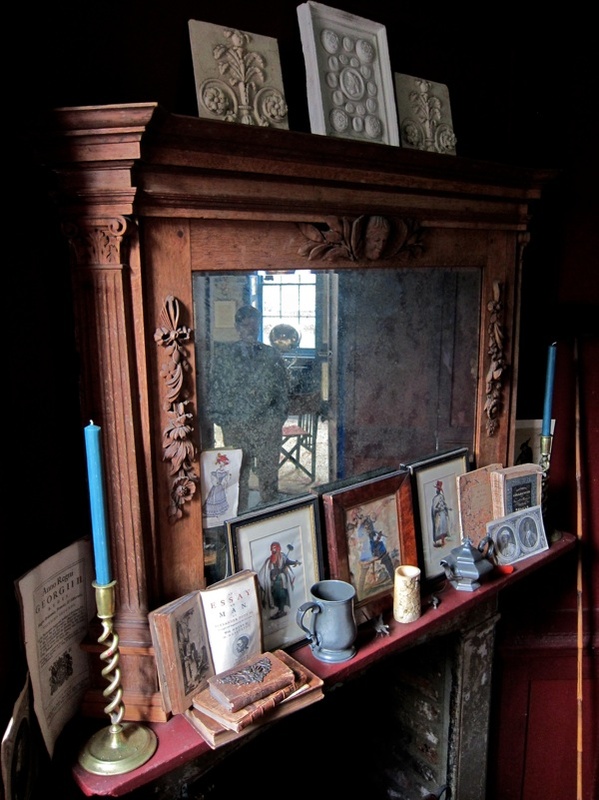 Oscar Wilde’s fireplace still held pride of place but all the paraphernalia had been swept away in anticipation of the exhibitions that are to come. “We want small numbers of people to look at small things carefully,” explained Trevor, leading me through double doors into the pink library. Here he showed me Rodney’s scrapbooks and collages, alongside his own illustrated Australian travel diaries, and Georgian and Victorian Scrapbooks. “We plan to display small charming things which suit a house like this,” he informed me, proffering a curious series of eighteen-fifties silk designs from Rouen. With superhuman effort, Trevor has sorted through the archaeological layers of Rodney’s collecting from local markets, an activity for which he has a special talent and which he has pursued continuously since he moved here 1980. Over this last winter, an elaborate editing process has taken place, with the surplus sold online and Rodney’s most-favoured artefacts arranged in a pleasing order by Trevor that they may be better appreciated. 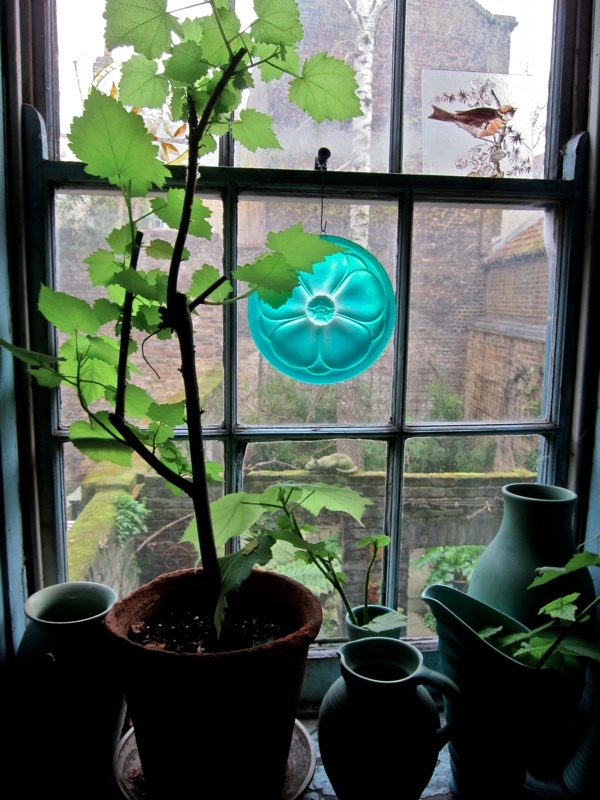 Growing enthusiastic, Trevor revealed their plan is for an exhibition every month from May, each accompanied by a publication illustrating the works on show, and visitors will be asked to book in advance so that the number of people in the gallery at any time may be limited to preserve the intimacy of the house. On this spring morning in March, the sun entered these magnificent chambers as it has done since 1726, with shafts of light illuminating the dust of ages suspended in the air. After forty years of living sequestered on Fournier St, Rodney is taking the bold step of opening his doors to the world – as long as they make an appointment first. 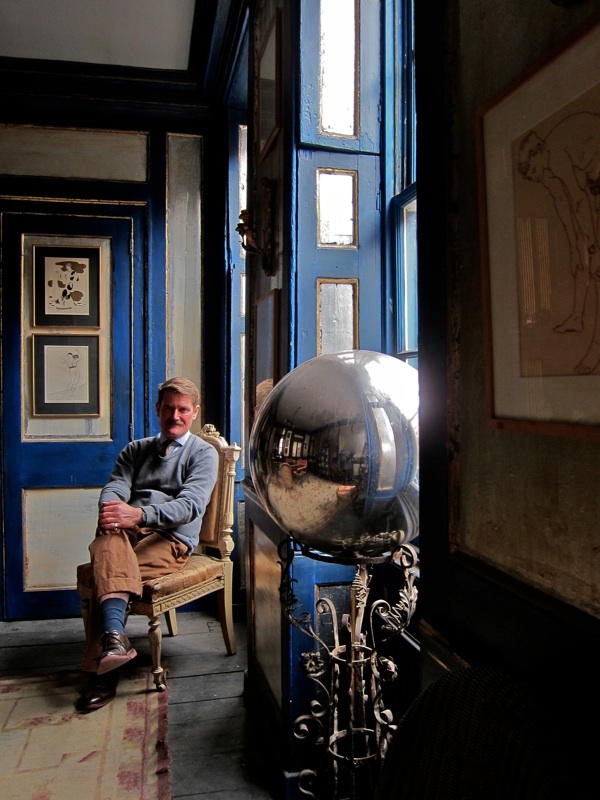 We retraced our steps downstairs to the hallway, where we met Rodney coming back from the antiques market, excited to show his new discoveries and thereby illustrating the necessity of items leaving at the same rate they arrive. 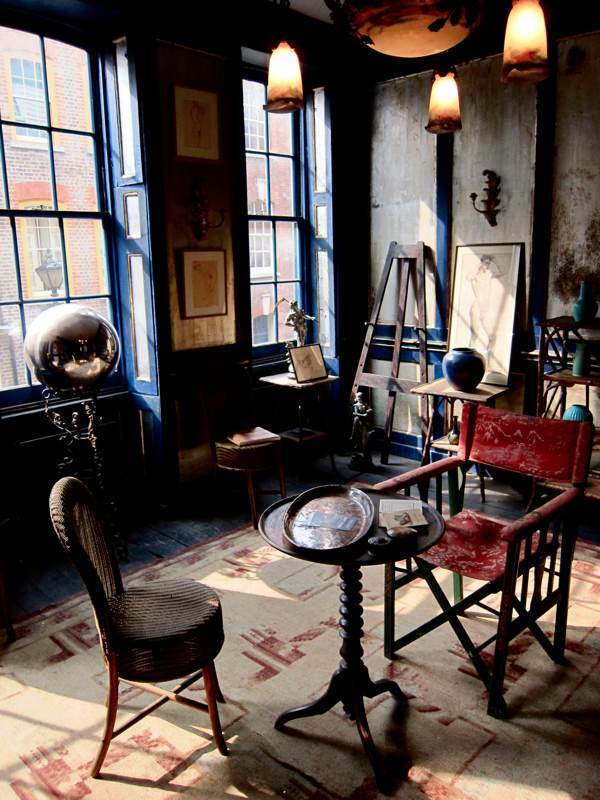 Offering my congratulations and wishes of good luck to Rodney and Trevor in their fanciful endeavour, I left filled with eager anticipation for this new chapter in the story of 31 Fournier St.
Heavens, what a gorgeous place. Looks absolutely splendid. I hope to visit bearing a gift of auriculas, they would suit the house so well. I wonder if Oscar Wilde liked them? Grand story, even that one of the Aesthete Rodney Archer, which I didn’t know at the time. 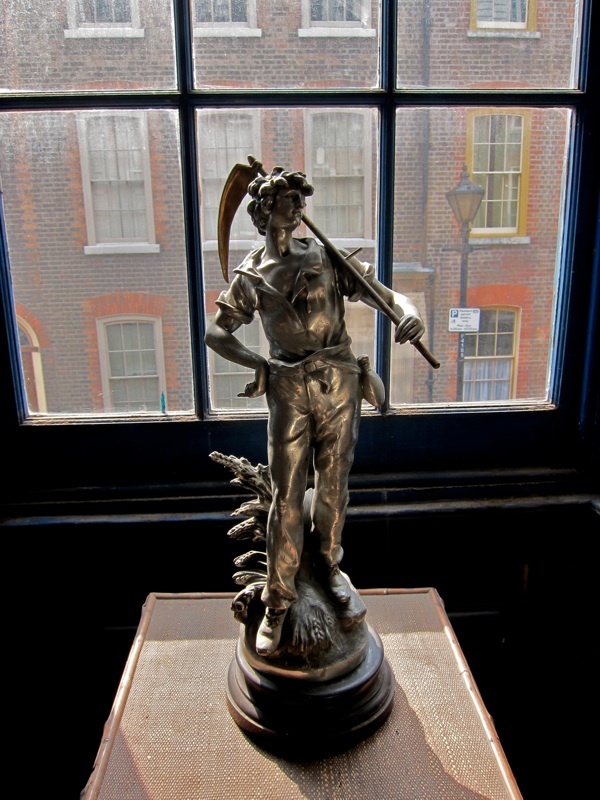 — The small museum should become a “must see” in the East End! PS: Added an OSCAR WILDE quote to my Homepage now! Excellent development, for us anyway. Will hope to visit at least some of the future exhibitions. It looks marvellous. Very interesting. I and a group of friends back in the 70′s helped Eric Elstob shovel out the mounds of old fabric scraps, so he would be able to get fire insurance, when he first bought his lovely house in Fournier Street which had formerly been used as sweat shops by Pakistani rag traders!! I love it Rodney your house looks fabulous and so do you….I’m so happy for you!!! I can’t wait to get there. It looks amazing! 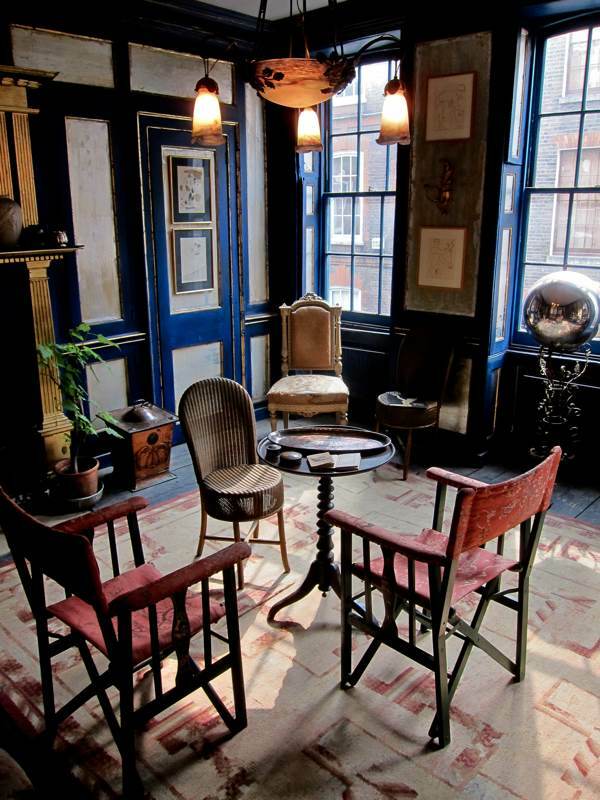 Sunday NYTimes Style Magazine article on Fournier Street. I immediately think of my former drama teacher, Rodney Archer. Lo and behold there he is in full color looking just the same. I’ve just started reading about and looking at all that’s happening at #31. Wow! We’ll be in London in late November and early December and would love to reconnect. Would very much like to come to any shows you might have going while we’re in London. Such a beautiful write-up, GA … and atmospheric photos (discovered this page a year too late.) I frequently find that the daily SL articles that affect me most are often the ones I am least capable of commenting on. A wordlessness sets in. How strange is that..!